Step off the escalator and onto the second floor of Millenia Walk, and you’ll find yourself surrounded by a disproportionately large amount of beautiful furniture. Stretching over eight units’ worth of retail space, Grafunkt and its sister brands—Ligne Roset, Conde House and Vitra by Grafunkt—have brought in some of the most iconic pieces of furniture and homeware over the years. The selection process is a strict and discerning one. Only labels that align with their philosophy—that good design equates good thinking and value—make the cut, and are further balanced against factors like quality and price before being brought in. Nathan and Jefery shed light on their latest venture, and the changing conversation surrounding product design. Hi Nathan and Jefery, can you tell us how your collaboration with Vitra came about? We attribute it to right timing and alignment of vision. Vitra has been a company that we look up to; they work with really good international designers with the sincere aim of bringing good design to a home. Vitra was strategising for expansion in Asia when we happened to knock on each others’ doors. From then, it was an exciting eight months of bringing ‘Vitra by Grafunkt’ to fruition. Since 2009, have you noticed any change in the demographic of your customers? What do you think this says about our appreciation for design products? Our core audience has always stayed true—people with an appreciation for good design and who believe that life is better appreciated when surrounded by well thought-out objects. 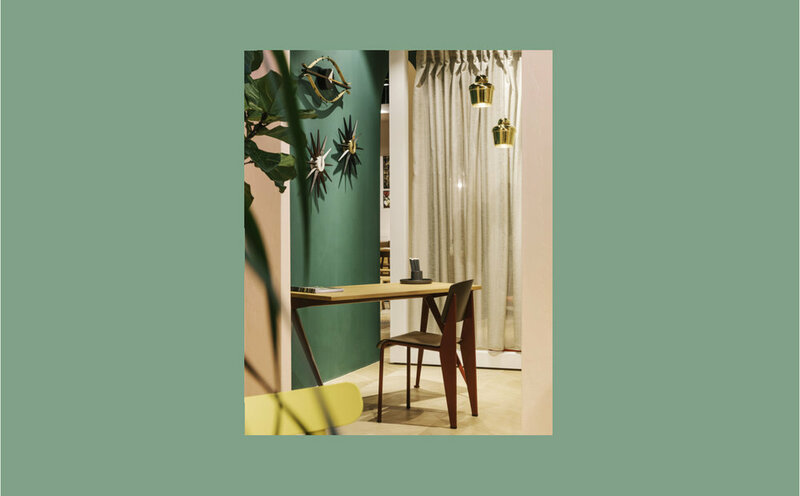 We have expanded to appeal to a wider audience with Ligne Roset, Conde House and Vitra by Grafunkt, and we continue to see an increase in customers even with competition from online sales. It is encouraging to know that regardless of market segment, the appreciation for design products is a constant. We understand that good design is not just the visual you get from a computer, but a culmination of senses when one experiences a piece of our furniture.